Jun - 26 | By: NW Film Center | no comments. plus Pickathon Festival August 2-5. Learn to shoot live events as a trained cameraperson for the Pickathon Music Festival, one of the largest outdoor music festivals in the US (August 2-5). This mentored crew experience is open to anyone with an interest in filming music, sports, and other live, multi-camera events, from absolute beginners/novices to advanced filmmaking students. A combination class and field experience, the course starts with four weekly instructional sessions devoted to hands-on camera operation techniques, specialized gear such as jibs, robotics, switchers and more, and how a camera crew and director work together as a creative team on location. A class practice shoot the week of July 23rd of a live show at a local venue (TBD) will give students the chance to test their new knowledge and gain confidence before the big fest. 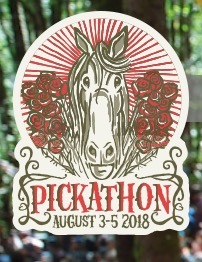 Then the group will head out to Pendarvis Farm to set up and serve as the camera crew for Pickathon’s Treeline Stage, working with mentors to film the stage’s music acts during the action-packed, multi-day music extravaganza (that runs August 2-5). Determining control room location, camera placements, cable runs, signal flow, etc. My instructor was Tom Rooney and he was a great instructor and director. He was very humble and patient. He was a great listener and teacher. Very professional and easy to approach with questions. I would love to work with him again. This class was a tremendous experience that I would gladly take again. Tim Rooney is a wonderful teacher and a pleasure to work with. I am definitely hooked on filming live music! This was exactly what I had hoped it would be from the description. Tim Rooney was such a great instructor and really worked with all levels of the students in the class! His patience and delivery of the subject was easy going and dispelled a lot of anxiety regarding learning the XA25 functions. The physical shoot at Pickathon was exciting and I learned so much being on location to put it all to practice. I would say that I now have more confidence in my ability to run a camera and step into the world of multi-camera experience! Tim, thank you for all of your help, patience and instruction! Tuition includes pass to Pickathon and all needed production equipment, including Steadicam Merlin, camera jib, and dolly.